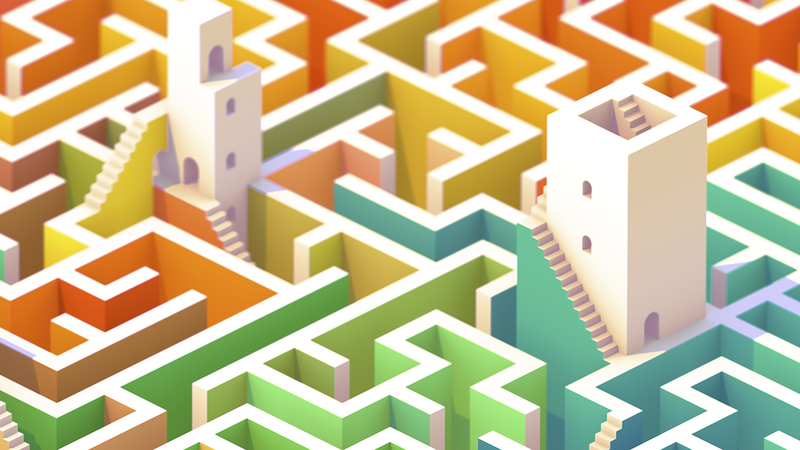 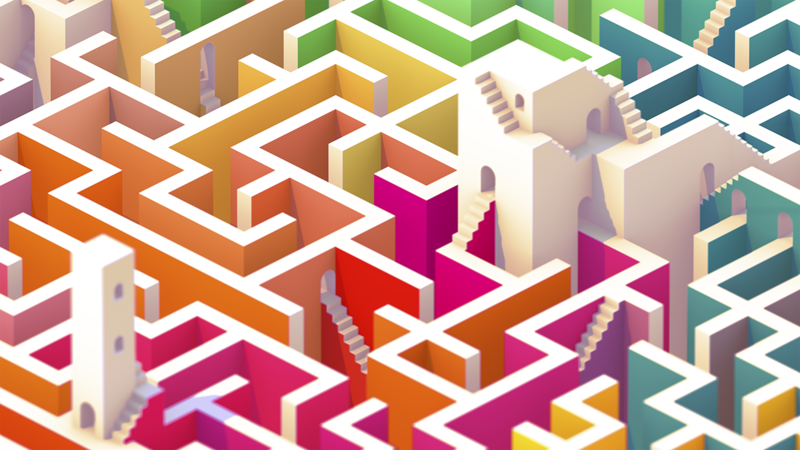 I am a fan of the game Monument Valley, the aesthetics and the way the player have to solve puzzles is quite catching. 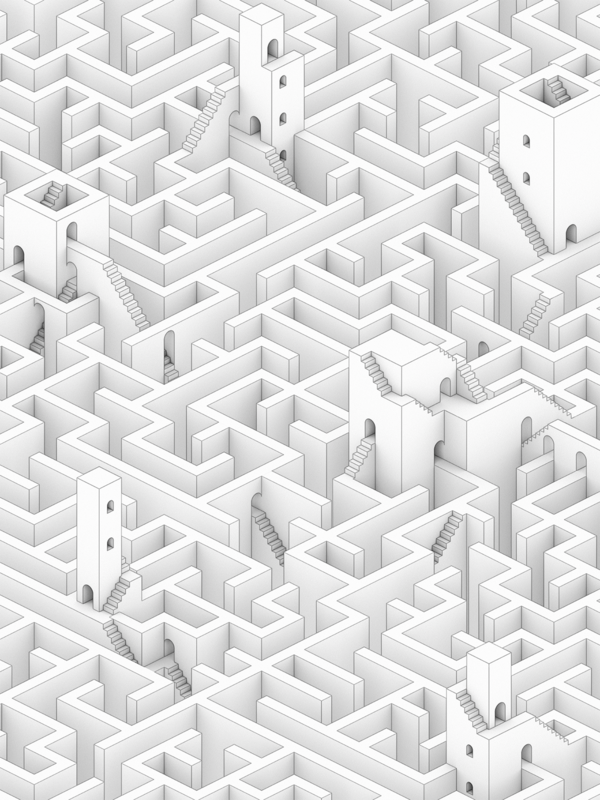 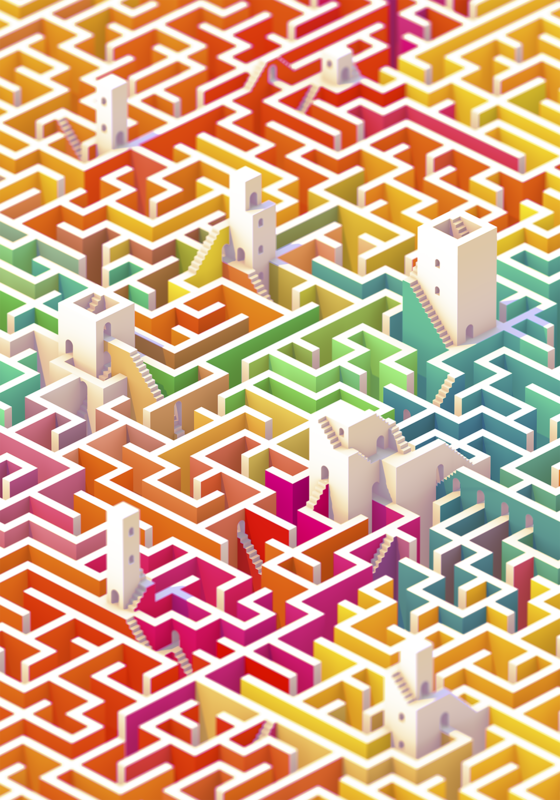 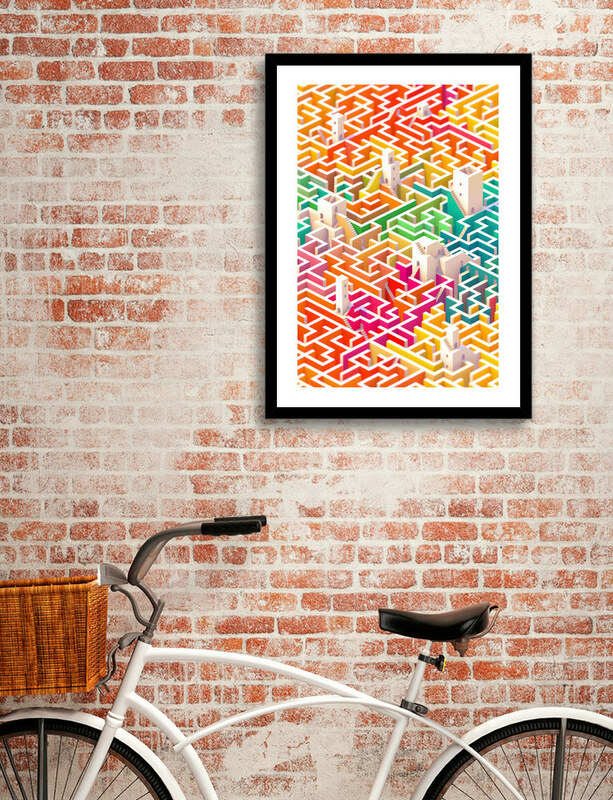 Labyrinths, a project from JR Schmidt has the same feel, however JR adds the mazes to the formula to create an incredible composition. 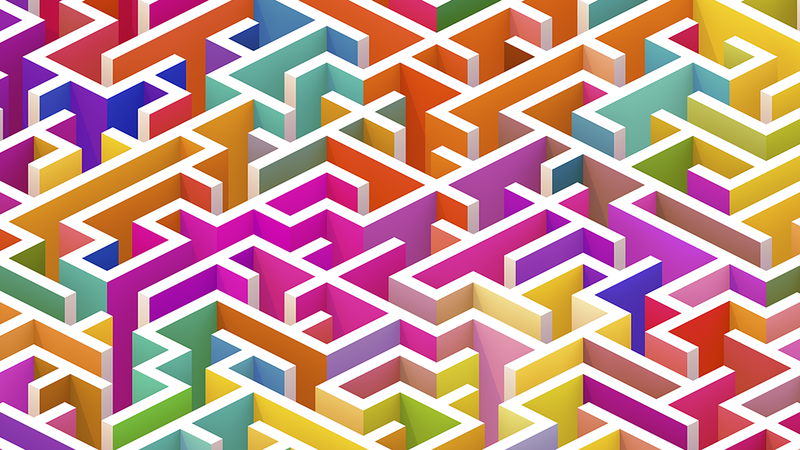 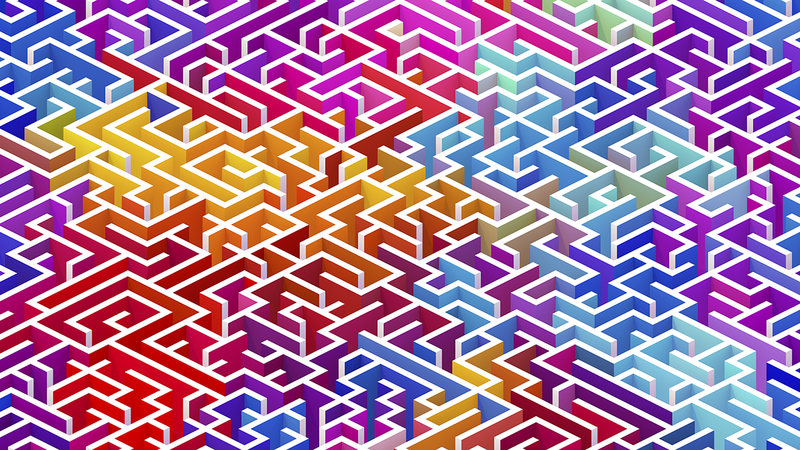 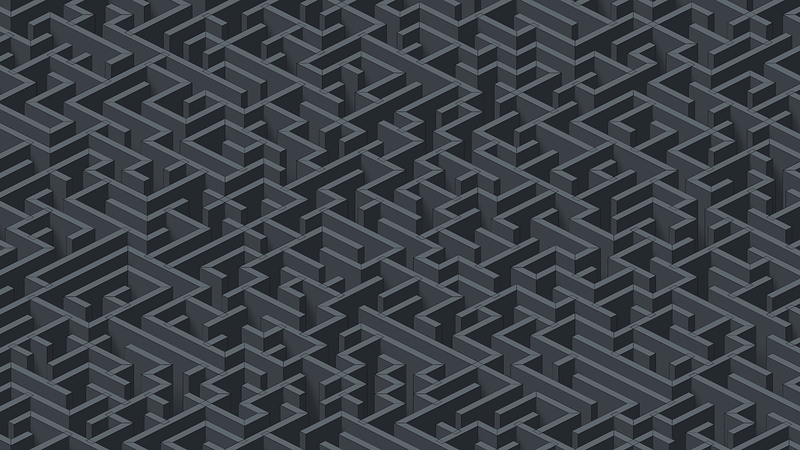 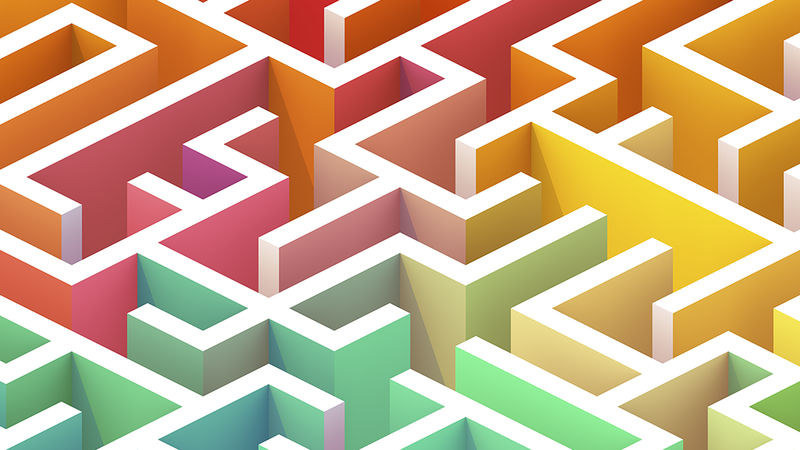 Just the maze pattern for me is already awesome, but the rest of the details really make the work shine.